I totally ADORE the nails!!! I really love your nails, its so cool ;)!! 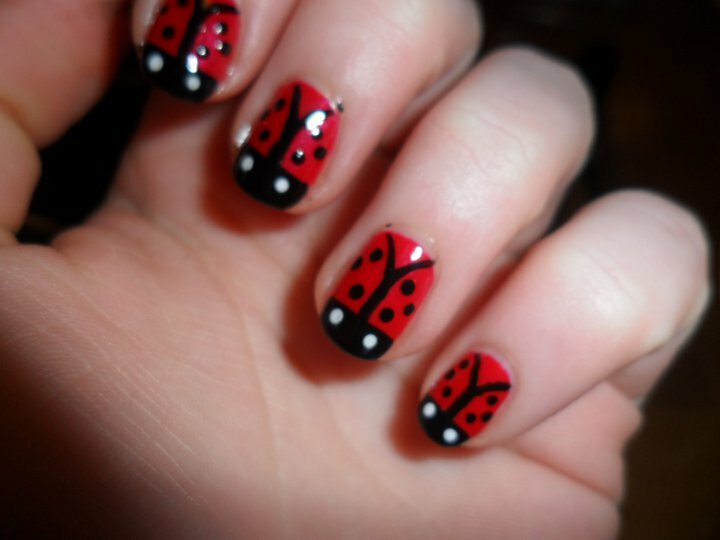 Bellissimo lo smalto fatto a coccinella..
voglio assolutamente provare a farlo anche ioooo!! Kig gerne forb min, og deltag i min give away. love how you put these adorable sketches into reality!